Hello Friends! How are you? We apologize for the lack of postings recently. We have been enjoying our summer vacations and have been busy creating memories with family and friends. However, now that school has started for some of us, it is back to the usual routines and chaos of dinnertime! I spent 3 weeks up in California with Shannon this summer. We were actively typing our cookbook and were able to get a lot of it done. It has been such an exciting AND tiring process. They never really tell you how much work it is going to be. Luckily, this is our love and our passion, and now it is our little baby. We have high hopes of finishing this book within the next month or two! Woohoo!! My awesome mom also lives in CA in the summertime and so I was able to spend some time with her as well. 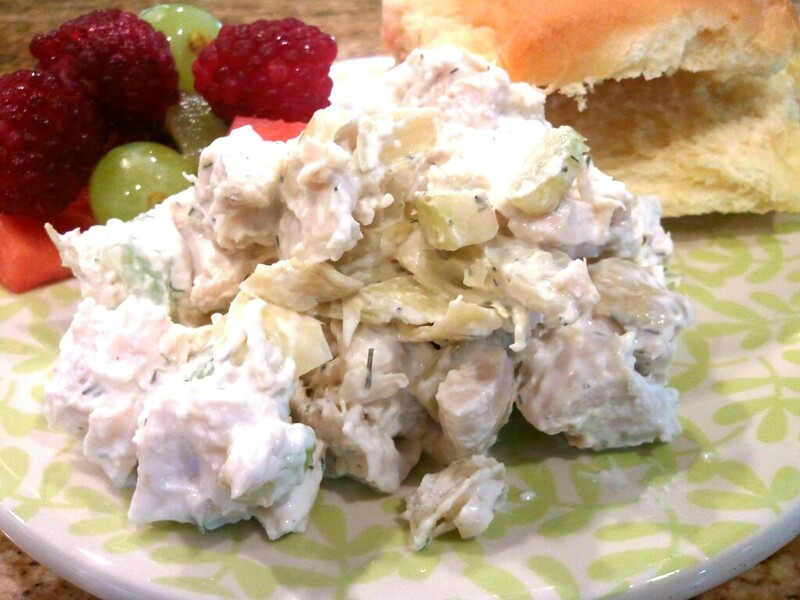 One Sunday evening she made her famous chicken salad and it made me happy for summer. Happy for all the yummy fruit, fresh vegetables and summer desserts. So if you are not sure what to make for dinner tonight, try this. And then pair it with some yummy fruit or fresh veggies. Yum! In a large bowl combine all ingredients except mayonnaise, sour cream and almonds. Cover bowl and let marinate so flavors mesh together. After 1 to 2 hours mix in mayonnaise and sour cream. Add almonds just before serving. 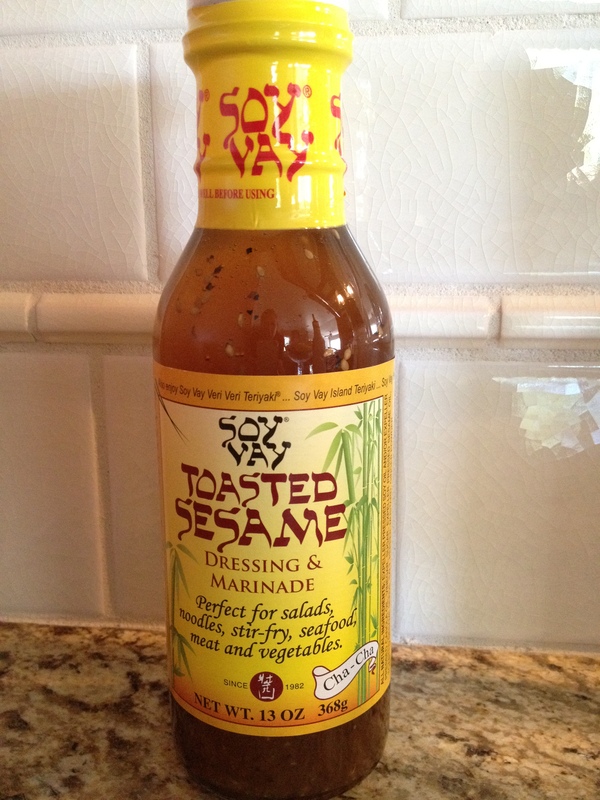 Eat as a side salad, or serve on fresh bread or roll of your choice. May be served warm or chilled. Store in an airtight container. Refrigerate. I love croutons on salads and soups, and up until recently it had never occurred to me to make my own. Then one night while my kitchen was in the throngs of the remodel, a friend, who is a wonderful cook, brought me dinner (I know, I have nice friends, don’t I?). Besides the other yumminess, she brought a caesar salad with these homemade croutons on top. Oh, to die for!!! Croutons are so easy to make and taste so much better than even the best store bought. Once you make these, you’ll never go back! I now keep these on hand at all times. Slice the Ciabatta loaf into bite sized pieces, then place in a large bowl. Drizzle with 1 Tablespoon of the olive oil and toss. Then drizzle another Tablespoon oil and toss again. Repeat a third time until all the bread is coated. Sprinkle with the garlic salt and toss again to disperse evenly. Spread the bread cubes onto a jelly roll pan in a single layer. Bake at 350 degress for 15 minutes, or until croutons are crisp and golden brown. 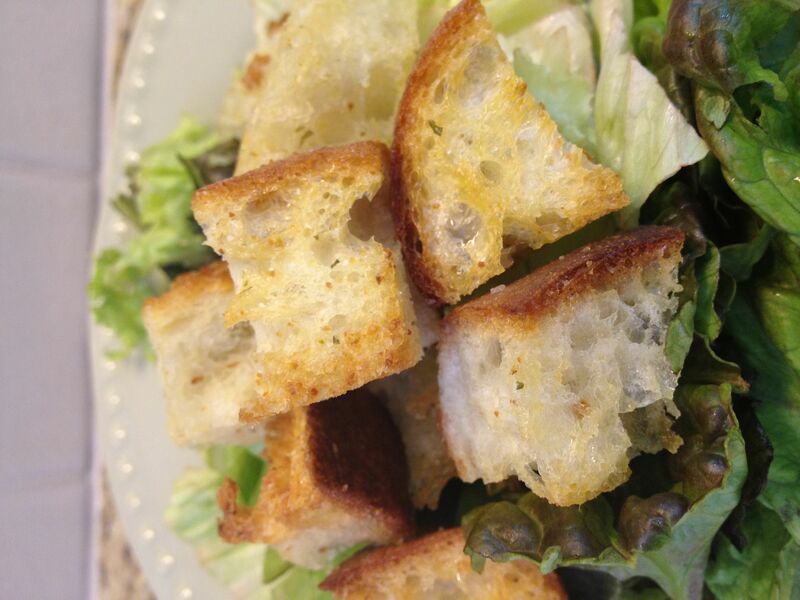 *Note: You could substitute any good crusty bread to make the croutons. I’ve used french baguettes, sourdough, pugilese, rustic italian. We have this wonderful deli downtown. It serves the best sandwiches I’ve ever had, hands down. But what makes them truly unique is the beautiful salads displayed in their cold case. I always have to get one on the side. They are all so yummy! 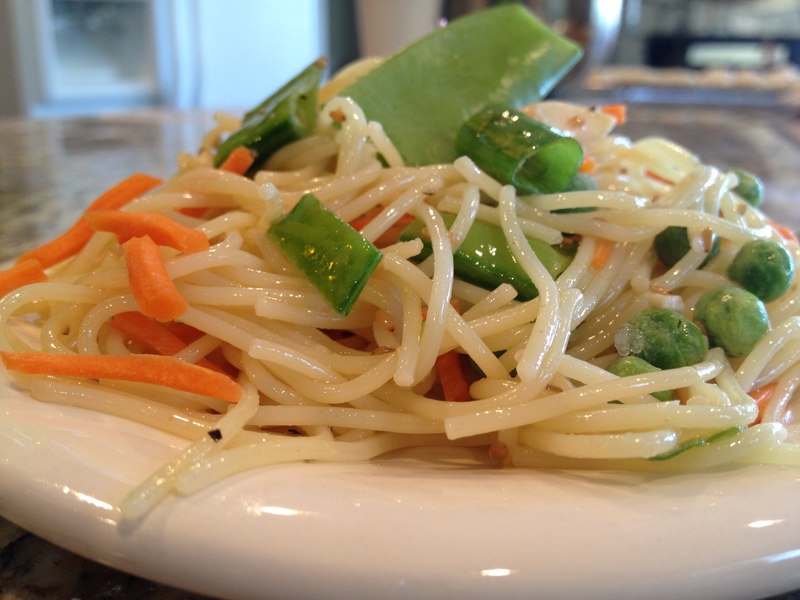 This is one of my favorites, recreated by me… try it, it’s a winner! In a large bowl, mix all the ingredients. Serve cold. Serves 14. I know I’ve mentioned this before, but I just have to say again how lucky I am to live in the San Francisco Bay Area, where good food is plentiful and fresh food is easy to find. I have 3 outstanding weekly Farmers Markets within a couple of minutes of my house, not to mention all the fabulous grocery and speciality food stores. One of my favorite things is a little farm called Capay Organic Farm, and the service they offer called Farm Fresh To You . They are a completely organic farm that delivers fresh food straight to my door. I subscribe to a once a month delivery, and I’m fully in love with the service! In my delivery box each month are all the in-season vegetables , fruits, and even flowers. It’s always such a treat to have the box arrive at my door. I take it in the house, place it on the kitchen counter and tear into it to see what delicious fresh foods I’ll get to enjoy! This month my box was full of pink lady apples, grapefruit, navel oranges, eureka lemons, mandarins, Haas avocados, strawberries, red leaf lettuce, cauliflower and carrots. Can you imagine my delight? Organic produce, on the whole, tends to go bad more quickly than say, produce you’d buy at a grocery store. I’m not bashing grocery stores, they serve a purpose and most times the produce I buy there is really good, but getting this organic stuff make me feel like I’m doing something good, for the environment and for myself. One of my favorite things to do is take the veggies, chop them up and crunch them down in a yummy BIG SALAD, like on Seinfeld, remember that? There really nothing better than fresh lettuce, it’s just so sweet and light. And farm fresh carrots?!?! Carrots, like tomatoes, are one of those things that just taste entirely different when they are fresh. They are earthy and crisp and so so yummy! And this month I got cauliflower, which I prefer to eat raw, rather than cook all the flavor out of it, so of course that got chopped up and put in the BIG SALAD. 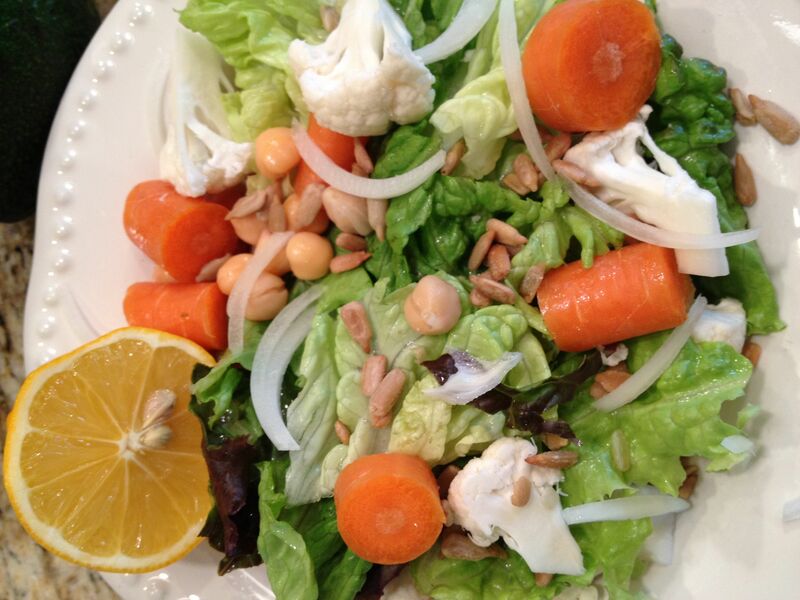 So, ok, this is more of a post than a recipe, but it’s just me, reminding you to eat fresh. Eat organic. Put good food in your body so good things can come out of you! Food is the fuel for our productive days, so I say, eat the good stuff! EAT A BIG SALAD! Quinoa os all the rage right now, right? It’s popping up in recipes all over the place. So, what’s the big deal? Well, from what I’ve learned it’s an amazing grain because it is the only grain that is also a protein. It’s a “super food” that we should all be eating. 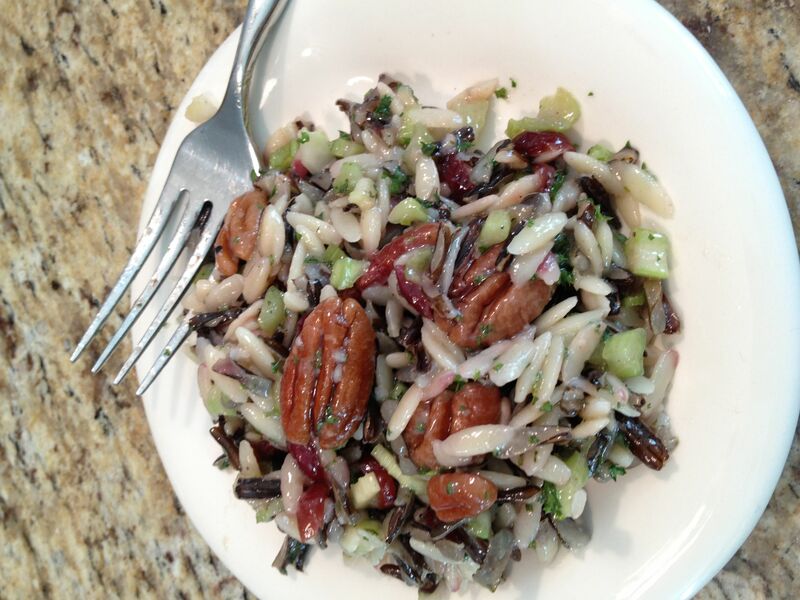 I tried it plain once, and didn’t care much for it that way, but incorporated into a lovely salad like this it is delicious! 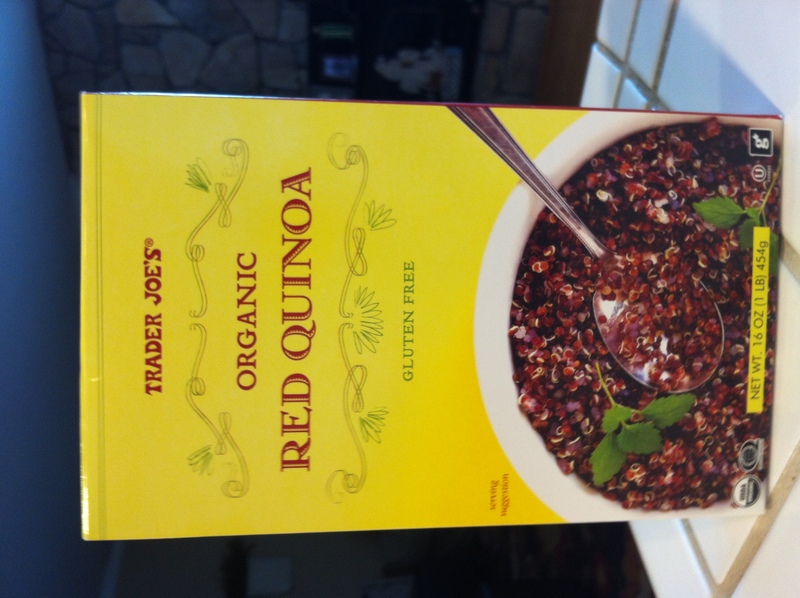 Cook quinoa with broth according to package directions. 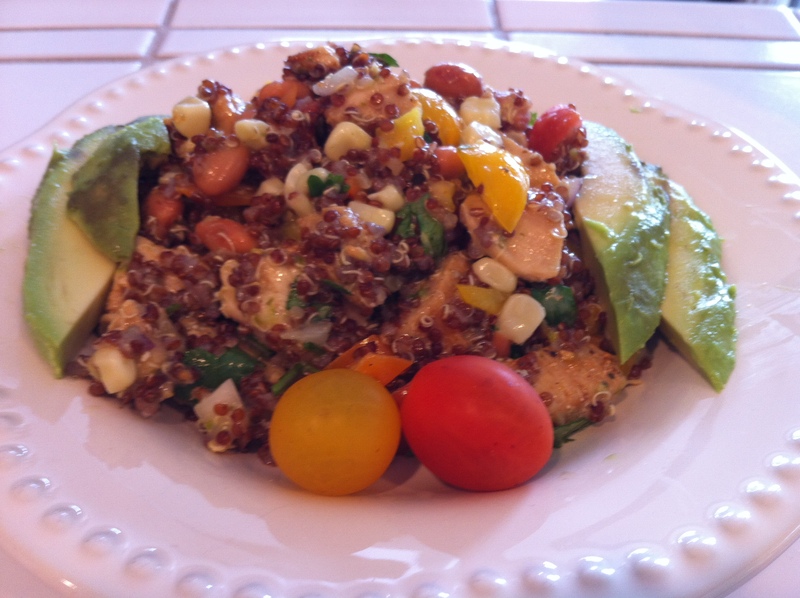 In a bowl, combine beans, corn, avocado, tomatoes, red bell pepper and onion. Add salad dressing and toss to coat. Add salt, pepper and lime zest. Add ½ the cilantro and toss again. Set aside. When quinoa is cooked, toss with olive oil, and salt and pepper to taste. Set aside to cool. Once cooled, add to other ingredients and toss to combine. Garnish salad with remaining cilantro. 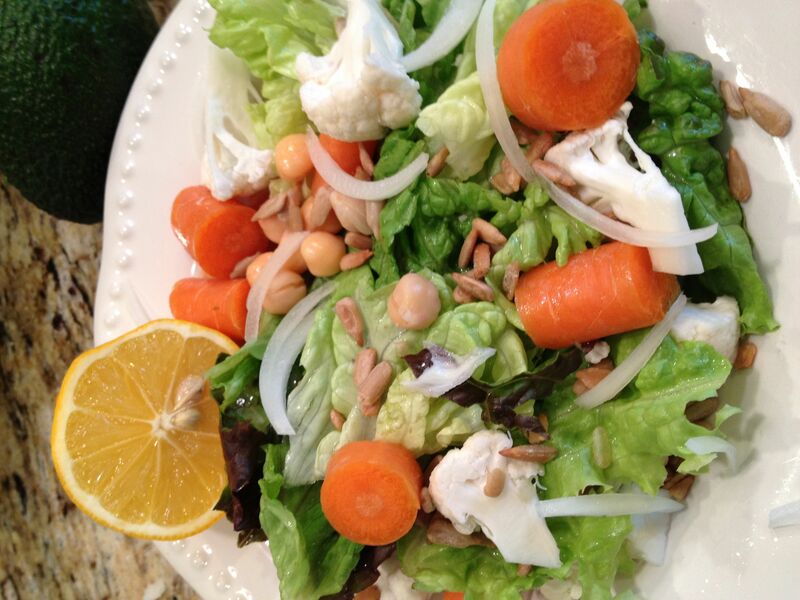 *** I like to add 1 cup of the lemon pepper chicken to this salad to make it a meal for lunch! Many years ago, my brother-in-law lived in Italy for a few years, and this is one of the many culinary delights he shared with me when he came back home. He made a killer caprese before caprese was cool. Seems like every upscale, casual restaurant now has a caprese salad or sandwich on the menu, and I think we all know why. The flavors are seriously just so perfect together. The acidity of the tomato, the creaminess of the fresh mozzarella finished off by the nuttiness of the olive oil and a zing of salt. Add a drizzle of Balsamic vinegar and you’ve really got something! 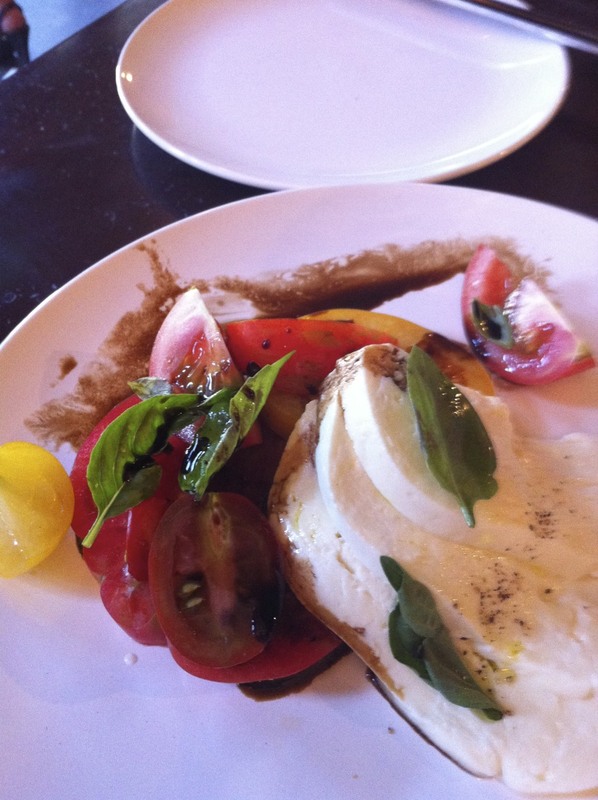 Caprese salad is one of my favorite quick and easy lunchtime meals… don’t feel like salad? Put it on some artisan bread and press it in a pannini press. Delicious both ways!!!! Yum. Place mozzarella on plate, arranging individual slices to line the bottom of the plate. Spoon tomatoes and juices around the sides of the cheese and over the top. Scatter basil over the top of that. Finish with a sprinkling of sea salt and a drizzle of balsamic vinegar. Serve with crusty, toasted artisan bread.